I focus on vigorously defending people accused of misdemeanor and felony offenses in Fort Worth and Tarrant County. If you have been arrested for a DWI or accused of any criminal violation, please contact me. If you have been arrested and charged with a misdemeanor or felony crime, this may have serious consequences on your career, family, and future. Even if you have not been arrested but are being investigated by the police or child protective services (CPS), you need an experienced criminal defense attorney to guide you and protect your rights. Quick and proper action may help prevent an arrest or stop an investigation. 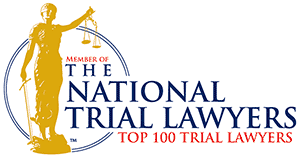 I have now been practicing criminal defense law since 2000 and have represented hundreds of satisfied clients. I assure you, I understand the stress and anxiety you are feeling. Please call me as soon as possible to discuss your options. After meeting with me you will fully understand the criminal justice system and hopefully, I will be able to relieve some stress and anxiety and give you some peace of mind. If you need to speak with a criminal defense attorney immediately, please call me on my cell phone at 817-307-0679. I have a desire to give my clients quality representation with one-on-one personal contact. When you are accused, charged, or under investigation for a criminal offense, you will want to speak with your attorney, not an associate or assistant. I will handle your case personally. I have a staff that is incredibly willing to assist and help my clients any way they can, but if you need me personally you will be able to contact me almost anytime on my cell phone. I make every effort to return any missed calls on the day they are received. I utilize all of my previous criminal trial experience and knowledge of the criminal laws to aggressively defend each client. Communication is important as I strive to keep in constant contact with each client as their case progresses. I strive to reduce the stress and anxiety my clients feel during this time. I realize you are facing a problem that could affect the rest of your life. I believe it is my purpose as your criminal defense lawyer to work hard and diligently to protect your future. You deserve nothing less from your attorney. My prior experience as an Assistant District Attorney with the Tarrant County District Attorney’s office has proved valuable to my clients. I started as a misdemeanor prosecutor and was later promoted to a felony prosecutor position in County Criminal Court Number Five (family violence court). County Criminal Court Number Five is a specialized court dealing with only domestic and family violence charges as well as protective order violations. I also served for over two years in many of the felony district courts in Tarrant County as well as a Grand Jury prosecutor. This past experience gives me a special advantage that enables me to provide aggressive and effective representation as a criminal defense attorney. If you have been accused or arrested and are unsure of what to do next, I advise you to call my office and schedule a consultation. I am willing to meet for a free consultation and discuss your criminal case. At that meeting, I will fully explain the complexities of your case, what to expect in the coming months, and what your legal options are. I will give you honest, straightforward answers to your questions. You will have a full picture of the road ahead after you meet with me. Regardless of the charge, you have rights that deserve to be protected and represented in court. I am dedicated to advocate for you and defend your rights aggressively and effectively. It is my job as your criminal defense lawyer to look out for you. We live in a country that requires the government to prove you are guilty beyond all reasonable doubt before you are convicted of a crime. Until you are put in a position to defend your name and your future, those words won’t have much meaning. But to me, and the people who trust me to protect them, it means that a good defense with the protections and rights of the Constitution is the only thing standing between government and the result the government wants. Life is hard enough without having a criminal record in your past. I cannot promise a dismissal, but I can promise I will work as hard as possible to put you in a position to protect your future. Whether you are charged with a Class C Misdemeanor or a First Degree Felony, it is essential you find an experienced criminal defense attorney to help you. Most people have heard of misdemeanors and felonies. Misdemeanors are generally considered less severe and have a maximum punishment of one year in jail. Even though misdemeanors are considered less severe, they can still have lasting consequences on your life. Felonies are more severe and certainly also have lasting consequences that could affect the rest of your life. Felonies have punishments that could land a person in prison. Both misdemeanors and felonies have collateral consequences on jobs, immigration, voting, gun ownership, and licenses received through the state or federal government. I offer legal representation in many areas of criminal defense, as well as expunctions of criminal records, non-disclosure of criminal records and Juvenile law. Here is a list of some of the most common charges clients are facing and cases I deal with on a daily basis. criminal offense, you will want to speak to your lawyer, not an associate or assistant. If I am not available, my office will get you in touch with me as soon as possible. Immediate action can often play a significant difference in the outcome of your case. Opportunities to win your case can be lost by waiting.